Words cannot describe how surreal, how unnerving, and how entertaining the launch trailer for A Fistful of Gun is. I mean, live action gunslingers standing in the desert wearing huge paper mache heads. What else could you possibly want?! The best part about A Fistful of Gun, apart from all that stuff I already said, is that the eleven playable characters have their own unique control schemes. They're not just copy/paste versions of each other with a little tweak to their gun slinging style or walking speed. Sometimes you'll have odd mouse/keyboard combinations to set off your attack, sometimes simple button presses, it all depends on your character and his weapon. Kinda makes the whole thing a thousand times more interesting, doesn't it? 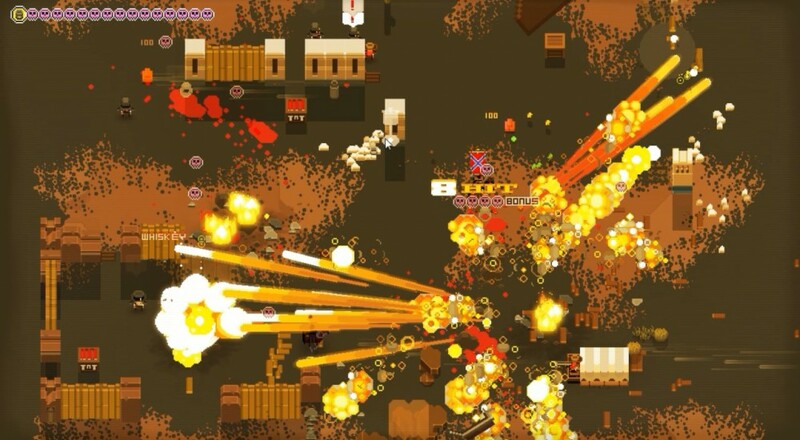 A Fistful of Gun is currently available on Steam. Grab it, grab a ton of friends, and start shooting. Page created in 1.8361 seconds.